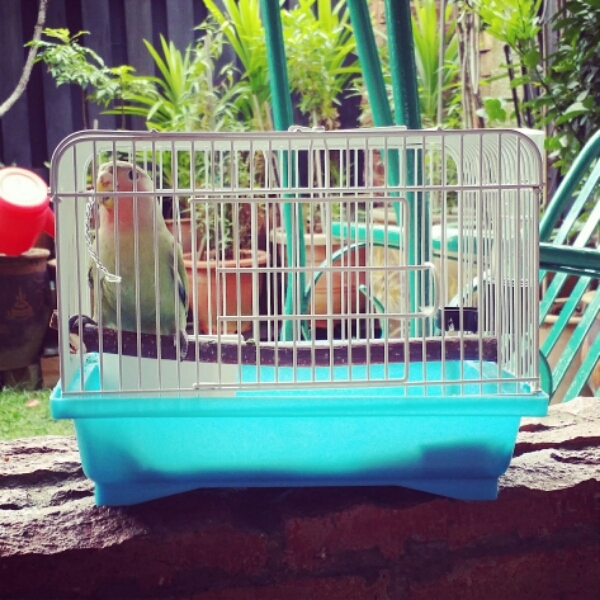 Grandfather P came into possession of a 3 month old baby bird and it was delivered in a small little cage. It was decided that we should get a larger cage for the little one and perhaps a little companion for it so that it doesn’t get lonely. 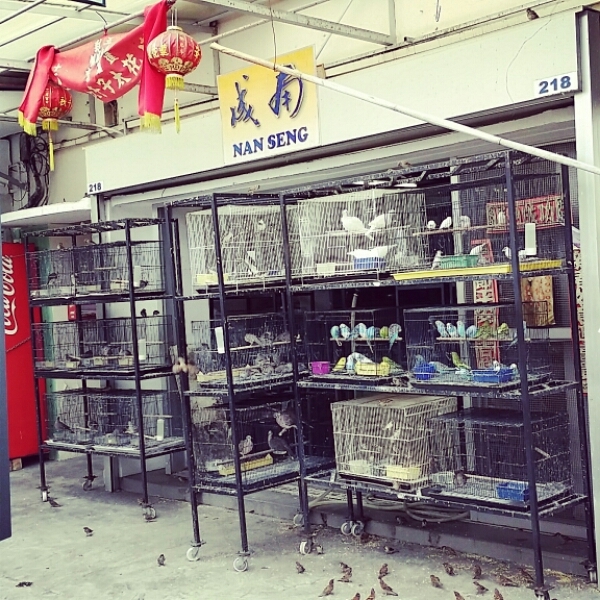 We made our way to this little bird shop we knew of. 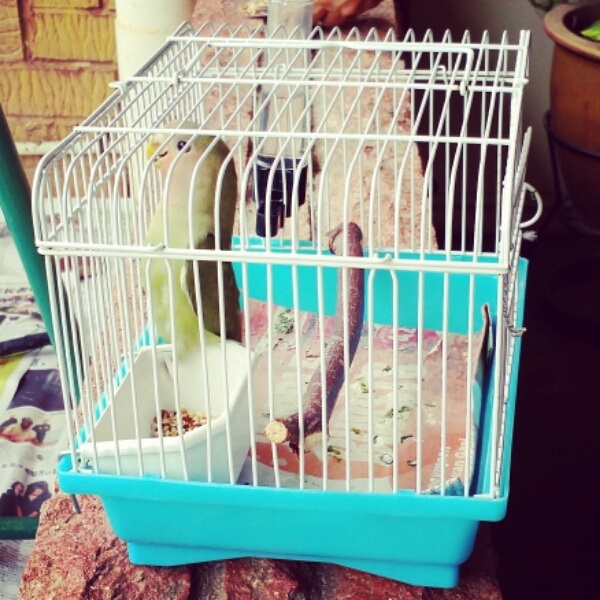 This was the little cage that the bird came in. 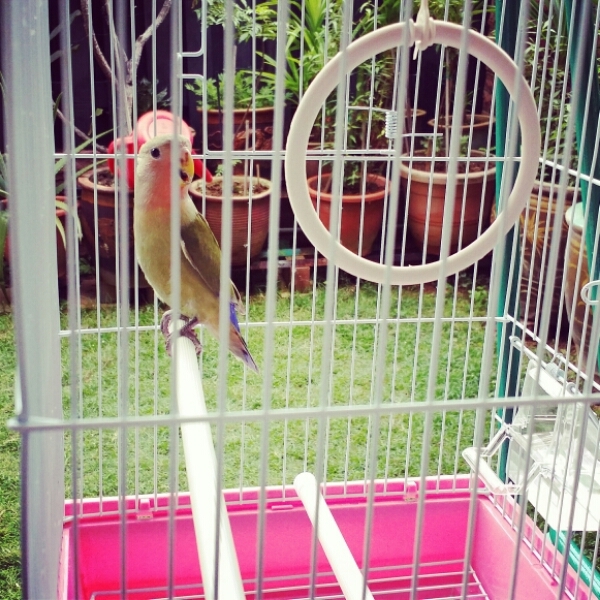 This is the sparkling new cage Grandpa P purchased. 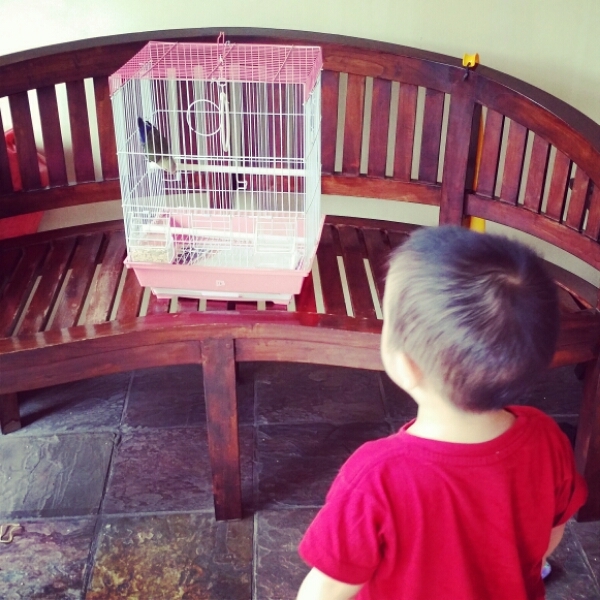 He had wanted to purchase a companion bird but the shop owner said that it is not possible to tell the gender of the bird we currently own as it is still too young. Their gender becomes known at around 1 year of age and he recommends that we go back 9 months later to confirm the gender and then get it a companion of the opposite gender. 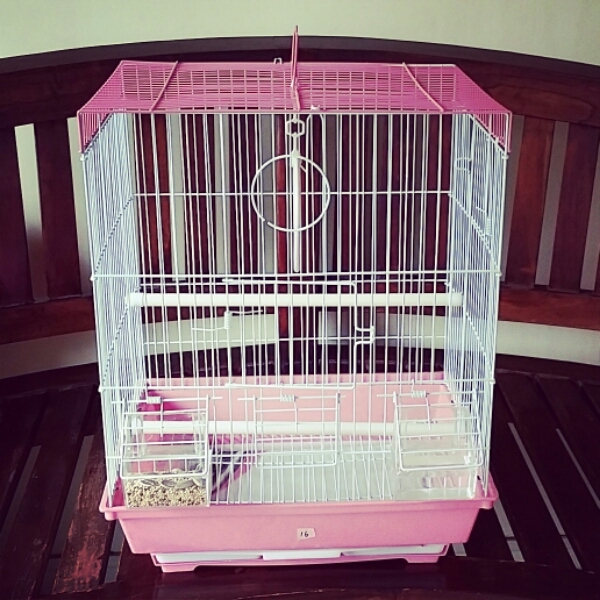 And so it is that we went back with just a bright pink cage and some bird seed. It was really enjoying its spacious new cage. Ted was really intrigued by it because it was the first time he had seen a bird up close. He was a little shy at first but eventually curiosity got the better of him and he waddled up for a closer look.